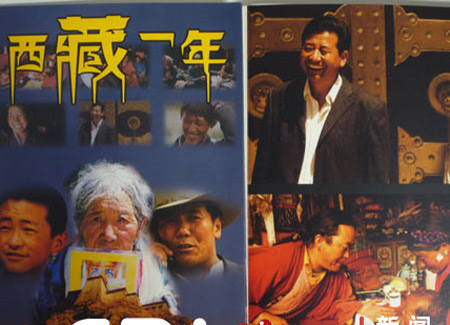 BEIJING, July 16 (Xinhua) — The production team of “A Year in Tibet”, a five-episode documentary on Tibet that became a hit after it was shown on BBC in 2008, announced Thursday that the movie will “soon” be broadcast on CCTV and other Chinese TV channels. Kathy notes: The Free Tibet folks denounce it as propoganda,,,because it was made in coop. with the Bejing govt. The director/producer is Chinese..a woman. Still very, very interesting…it gives daily life, of ordinary Tibetans….customs/traditions/how people survive in such a vast country. Amazon offers the movie, A Year in Tibet, in five segments at $0.99 each.